The Irish Cattle and Sheep Farmers’ Association has a huge membership base in the beef sector, and works hard to represent beef farmers and their interests both in Ireland and at EU level. The ICSA is fighting for a commitment from beef processors to a long-term, sustainable margin for beef farmers. ICSA continues to challenge processors regarding key issues such as weight and age restrictions as well as the movement of cattle. On your behalf ICSA challenges all deductions from your factory cheque, be it penalties, insurance, post-mortem contingency charge or levies. Remember, ICSA takes no levies. ICSA is demanding protection of our valuable live exports and that Government would increase their efforts to secure new markets for live exports. ICSA has also been working to solve the labelling blockage of live exports to NI and GB. ICSA is committed to defending the Irish beef industry from the looming threats of several international trade deals, such as Mercosur and TTIP. ICSA has made it clear in Brussels that the Irish beef sector is very vulnerable. The threat of these trade deals coming together with concessions repeatedly being conceded on beef imports is an appalling vista for the beef sector. Hailing from Ballyleck in Co Monaghan,Edmund Graham focuses primarily on his weanling to beef and stores to beef enterprises. The ICSA is committed to representing the interests of Irish sheep farmers in the strongest possible way at home and abroad. For many years, the national flock was in decline; we have seen recently that the fall has stopped. ICSA is now concerned that the sector be stabilised and made attractive to young, energetic farmers. 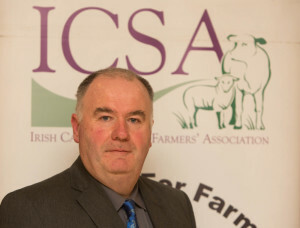 ICSA believes that Ireland needs to be careful that any increase in sheep production is in response to an increased demand on UK and European markets. We also want to see an end to the severe upper weight limits being imposed by the meat factories, which seriously erode sheep farmers’ profits. ICSA is seeking a Government commitment for better and more targeted funding for the sheep sector under the Rural Development Programme. We are also keen to ensure that the new EID regulations do not impose any extra costs or bureaucratic burden on Irish farmers and are particularly adamant that there is no justification for electronic tagging of lambs going direct to slaughter. ICSA is also committed to removing all remaining blockages of live sheep exports. ICSA, in partnership with Chanelle Veterinary held their annual Spring Sheep Seminars in February 2016. These events took place in Mountbellew Agricultural College in Galway and also in Ballybofey, Co. Donegal. The events were very successful and exemplifies the Association’s commitment to re-energising the sector and making sure it is sustainable in the long term. Farming in Taughmaconnell, Co. Roscommon, John Brooks previously held the position of sheep vice-chairman and is a long-standing member of the association. 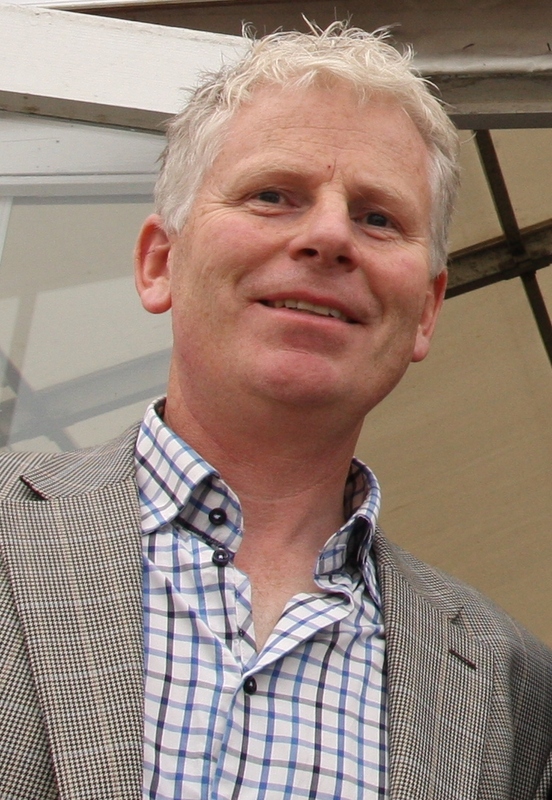 His stock comprises pedigree Suffolk and Texel flocks, along with a mid-season commercial flock and a mix of cattle systems including suckler, dairy calf to beef and store to beef. 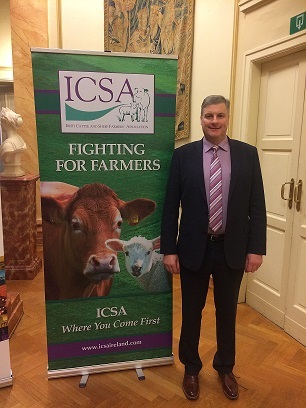 The ICSA is dedicated to strongly representing the interests of Irish suckler farmers. It is clear that a strong suckler sector, producing quality weanlings is crucial to a strong beef industry; ICSA believes suckler farmers need to be supported as much as possible to maintain the strength of the sector. A strong beef price is vital to the success of the farmer selling weanlings; ICSA’s work to ensure a long-term, sustainable margin for beef producers is also key to the long-term viability of suckler farms. ICSA is hugely active in the area of knowledge transfer among suckler farmers. The Association regularly hosts suckler farm open days in various parts of the country, which attract large crowds and generate very positive feedback, both from an educational and social point of view. 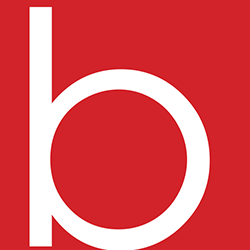 We also keep our members informed of any changes to the terms of the BDGP scheme and issue reminders of how to keep within the rules of the scheme to safeguard payment. “Securing viable live export markets is paramount. Farmers need more certainty that the markets for their produce will be there. Live exports will continue to have a big role to play. ICSA has also helped raise €100,000.00 to support a legal action being lodged in the High Court against the Department of Agriculture’s LPIS revie which saw some farmers penalised 100% of their payments. The ICSA is committed to furthering the cause of rural development in Ireland, and giving strong voice to the issues that affect rural dwellers across the country. These issues include, cuts to the Disadvantaged Area Scheme, access to third level education, rural isolation and mental health in farming,rural crime, and discussions around the ongoing CAP reform talks. ICSA is fighting to ensure fair distribution of Pillar 2 funds through the Rural Development Programme to support the drystock sectors. ICSA is lobbying for an improved Rural Development Programme which delivers money to farmers not professionals. We are demanding workable GLAS options for farmers saying NO to unfair LPIS penalties – ICSA firmly believes that no farmer should be penalised for maintaining land that had previously been told was eligible . ICSA is absolutely opposed to any five-year retrospective penalties and are currently involved in a legal challenge to such penalties. ICSA is also seeking a fair deal for hen harrier and other designated farmers – every designated hectare must be compensated. ICSA’s Rural Development committee, under the direction of Mr Sherlock, are also committed to tackling many issue facing rural communities on a daily basis including; rural crime, mental health and rural isolation in farming and the financial pressures that are currently facing many farmers.